With Labor Day in the books, schools have started throughout the country. Last week I took my first class in preparation to take my real estate exam in the beginning of 2015. Going back to school made me kind of miss it. I never thought I’d say I miss sitting in a classroom and listening to a professor talk for a couple hours a week, but I did. While I am taking my classes for my real estate exam in California this semester, I still everyday work hard at continuing my education when it comes to freelancing and blogging. I got my degree in Journalism but when I was graduating, the art of Journalism was changing. Newspapers were slowly fading out of traditional paper news and moving into mobile and web base news. Shorter stories, more up to the minute reporting and blogging. 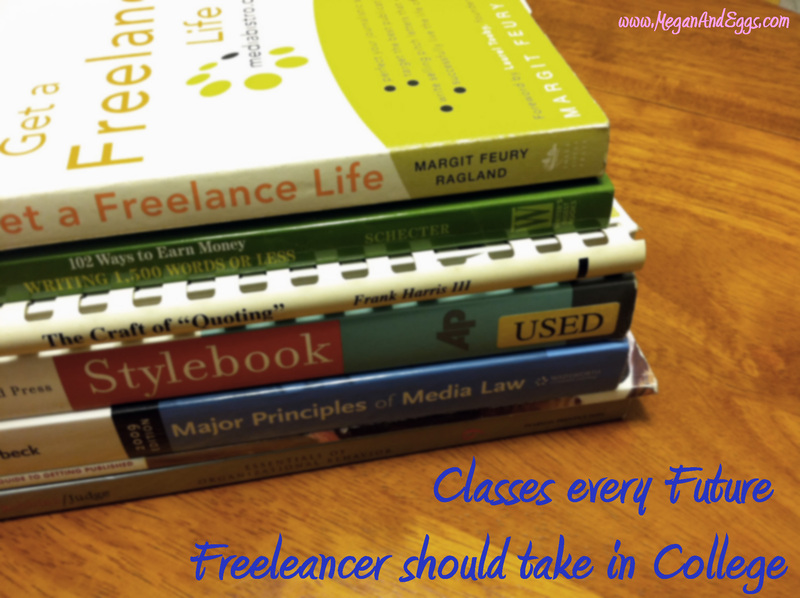 In honor of the new school year, I thought I’d make a list of classes students should take if they plan on being a freelancer. Knowing how to control your own finances is one of the most important things you can learn in college. I took my first PF class in high school and still fell into a mountain of debt, even with all of the knowledge I learned from a young age. Having a budget and learning how to control it will help you no matter what career path you go down. Most intro level PF classes go over all of the basics from balancing a check book to preparing your own taxes. By being a freelancer you are running a business, you are the product you are selling. A Business Management or Accounting class will teach you what you need to know from paying and writing off expenses for your taxes, to creating a focused business plan. Selling yourself as a business will uphold your integrity and professionalism, and keep clients coming back. Getting yourself out there to the right people is the only way to increase your revenue as a freelancer, or a blogger. Putting out a sloppy or unprofessional press release or even email will do one of two things: discredit you as a writer and waste everyone’s time. Learning to advertise yourself is how you are going to get clients and first impressions are just as important as the final product. During my last semester of college my journalism department introduced a new class about making blogs. It was the bear bones of blogging. We learned how to create a WordPress site, upload to YouTube and put it on the site, create a survey, do a little bit of coding and that was pretty much it. It was a good start but there is so much more I wish was taught to me instead of having to learn it on my own. Now freshmen and sophomores at my university need to complete Journalism Technologies before moving forward in their studies.